Why’s it good for you? What goes into our Broth? I’d tell you, but then I’d have to… In all seriousness, great bone broths are all about the details. We’ve spent months honing the recipe. 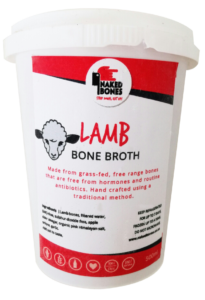 We pride ourselves on using only bones from animals that were humanely raised on open pastures with clean diets free of antibiotics and hormones. We prioritize this above all else because what goes into the animals body goes into our body. We only use fresh herbs, onions and garlic and our water is filtered, ensuring the final product is as pure and flavourful as it is packed full of vitamins, minerals and gelatin. 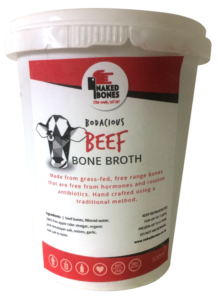 Our beef and chicken bone broth’s are simmered ow and slow to ensure that all the good stuff is gently extracted from the bones. After the simmering process we immediately strain and cool the broths, skim off excess fat, strain a second time and package it. The amount of TLC we put into each batch makes it quite labour intensive. But we truly enjoy every minute of it! If there’s one thing that Naked Bones is committed to, it’s flavour. It wouldn’t make any sense to acquire the highest quality organic bones, feet, vegetables, and herbs only to overlook the quality of the water that they’re simmered in for hours. Our Municipalities do a great job treating our water so that we do not suffer from water born diseases. 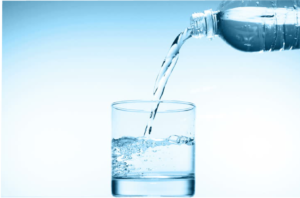 Our water is therefore ‘safe’ to drink. However chemicals like chlorine and aluminium sulphate are left in the water after treating it. Very necessary in the treatment process but harmful in the long term. There is also the risk of leakage into the already treated water in the system. Municipalities also don’t remove pesticides and herbicides and other industrial pollutants This will effect the quality and taste of our bone broth. That’s why Naked Bones uses only the best water filters from H2O Ballito. 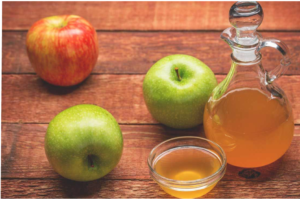 We use a traditional “old school” ACV which is unpasteurized and full of gut-healthy bacteria. It also includes active yeast and essential amino acids. The acidity of the vinegar helps dissolve minerals like magnesium, potassium, and calcium from the bones and into the broth itself. One of the big health benefits of broth comes from the fact that it is so dense in minerals and nutrients we are lacking in our modern diet. The second reason to add vinegar is because it acts as a preservative. By adding this type of vinegar to our broth gives it that extra nutritional boost you just won’t get from plain white vinegar. 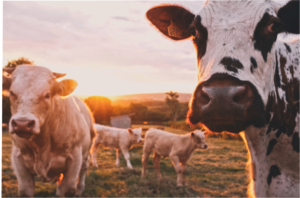 We pride ourselves on using only bones from animals that were humanely raised on open pastures with clean diets free of antibiotics, hormones and grains. 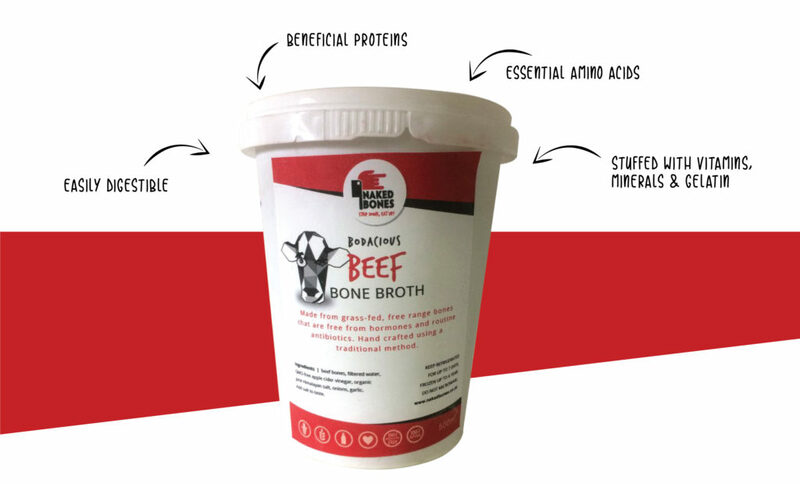 We prioritize this above all else because what goes into the animals body goes into our body We use only grass-fed beef bones free range chicken bones to create broths rich in glycine, glutamic acid. 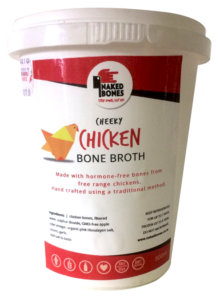 We use high-quality bones that are collagen-rich, such as marrow bones, knuckles and chicken bones, necks and chicken feet. Grass fed beef has more Conjugated Linoleic Acid, antioxidants (Vitamin A, E) and omega-3 fatty acids than grain fed beef. 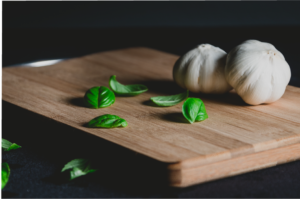 Garlic has been used throughout the ages for anything from lowering cholesterol to suppressing breath cancer cell growth. However, these powerful bulbs shine because of their prosperous sources of sulphur. Additional sulphur in the diet aids the body in synthesizing and protecting existing collagen. Studies done on pigs with sulphur-supplemented diets demonstrated elevated collagen levels in mature animals. Ultimately this resulted in a more smoother, more elastic tissues in the pigs and ultimately better food product. The phytochemicals in onions along with their vitamin C help improve immunity. Onions contain chromium, which assists in regulating blood sugar. 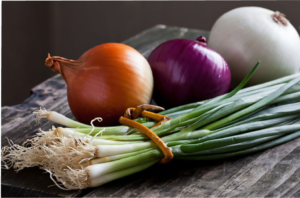 Furthermore,onions contain fiber and folic acid, a B vitamin that helps the body make healthy new cells. 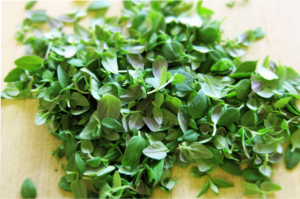 Thyme is thought to have antifungal, antibacterial, insecticidal, and possibly antifungal properties. The flowers, leaves, and oil of thyme have been used to treat bed-wetting, diarrhea, stomach ache, arthritis, colic, sore throat, cough, including whooping cough, bronchitis, flatulence, and as a diuretic, to increase urination. 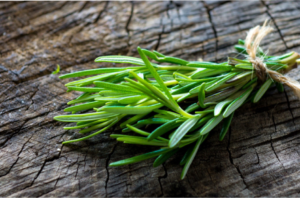 Rosemary was traditionally used to help alleviate muscle pain, improve memory, boost the immune and circulatory system, and promote hair growth This herb, especially the flower tops,contains antibacterial and antioxidantrosmarinic acid, plus several essential oils such as cineol, camphene, borneol, bornyl acetate, and α-pinene that are known to have anti-inflammatory,anti-fungal, and antiseptic properties. 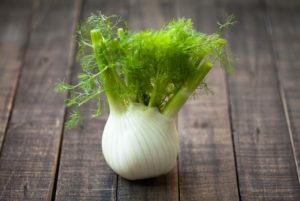 Fennel’s fibre, potassium, folate, vitamin C, vitamin B-6, and phytonutrient content, coupled with its lack of cholesterol, all support heart health. Fennel contains significant amounts of fibre. As fibre helps lower the total amount of cholesterol in the blood, it decreases the risk of heart disease. It is also a very good of dietary fiber, potassium, molybdenum, manganese, copper, phosphorus and folate. In addition,fennel is a good source of calcium, pantothenic acid, magnesium, iron and niacin. 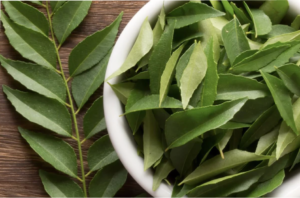 The most impressive health benefits of bay leaves include their ability to detoxify the body and protect it from bacterial infections, slow the aging process, speed wound healing, manage diabetes, improve heart health, reduce inflammation, alleviate respiratory issues, optimize digestion, and prevent certain types of cancer. Bay leaves offer us a healthy dose of vitamins A, C, magnesium, calcium, manganese, potassium, and iron. Bay leaves soothe body aches. Ease joint pain from arthritis.